When a disease adopts the shape of a natural calamity it becomes a very dangerous situation. In my opinion Malaria has done so. It has become not only a disease but a socioeconomic problem for our century and may be of the world as a whole also. In the history of Indian medicine, thousands of years back it was recognized as "juditap" (fever with chills and rigors). Then few hundred years back, it was recognized as a disease related to places where there was stagnation of water, dirt and filth, but people failed to associate it with the small sized miniature monster - "The Mosquito". As of today, Malaria has become more or less endemic in our country. Not only that, I personally feel that it is not even treated properly with due seriousness and the result is that we have Malaria in acute, recurrent and chronic forms. Many a times, a person has intermittent fever with chills and rigors, complaints of severe body ache and headache, vomiting sensation, loss of appetite, and a feeling of malaise. Of course, if the history is taken the person will say that they were okay in the morning or till a few hours back and all of a sudden the symptoms have appeared. But sometimes, the ignorance and illiteracy plays a major role and eliciting the history becomes a torturous task. Ninety percent of the times when I have done Peripheral blood smear, I have found malarial parasites present. It may be 'malarie' or 'vivax' mostly in our area but to find a mixed infection is not a rarity. The most important part is its treatment. Most of the people who come to us are malnourished and anemic. When given anti-malarial treatment, they respond to the medication. Their fever subsides and they disappear feeling happy and confident that they are cured, even though they are advised to revisit, very few do until and unless, they suffer a second, third or fourth time. Then they start wondering about the accountability of the diagnosis, and most often go for second consultation to other doctors irrespective of their qualifications but who are widely known as a good doctor on basis of experience and popularity. So, once the second or consecutive rounds of treatment are started with symptomatic treatment on antibiotics and sometimes wonder drugs like cortisones which are available freely even without prescriptions (Self treatment is a common occurrence in India). 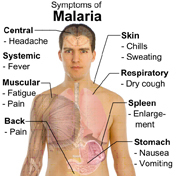 This vicious circle is repeated many times and thus, malaria can be labeled as being present in 'recurrent form'. G6PD is a costly investigation and many practitioners (qualified or not) are ignorant about it. So primaquine is a drug hardly used for treatment of malaria. Though our country is progressing; turning rich and richer on peripheral. There is no dearth of poor, below poverty line and undernourished people touching the lowest limits of malnutrition. Besides this, we have people who are experts in home remedies and those who have become experienced with age. These are doctors who are not doctors or even quacks. 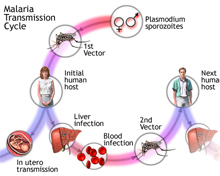 So in the end, a third phase of malaria has come up which can be called 'chronic malaria'. Under this come the people who may not get fever with chills intermittently. They are the ones who suffer without any apparent cause. They have body ache, headache, joint pain, anemia, and a constant feeling of unwell-being and who are easily labeled as having "vat". When these patients are advised anti-malarial treatment they do not take it as per advice usually and that is also not definite. 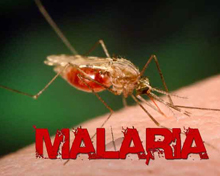 It is hard for them to believe that a simple disease like malaria is the root cause of all the problems that they are suffering from and that they have to repeat the course or again have to take primaquine. There are many factors including education, understanding and their exposure to falsehood. For this reason, I call malaria a disease which is not only a disease but a problem of socio-economic status in our country. If I take the opportunity and suggest the solution, I would say - Mass education of our population at war footing about cleanliness, disposal of waste both solids and liquids, proper sanitary habits including toiletry and food habits and creating a clean environment around us, along with a proper nutritional diet. Then at last but not the least, proper medical treatment after proper diagnosis.